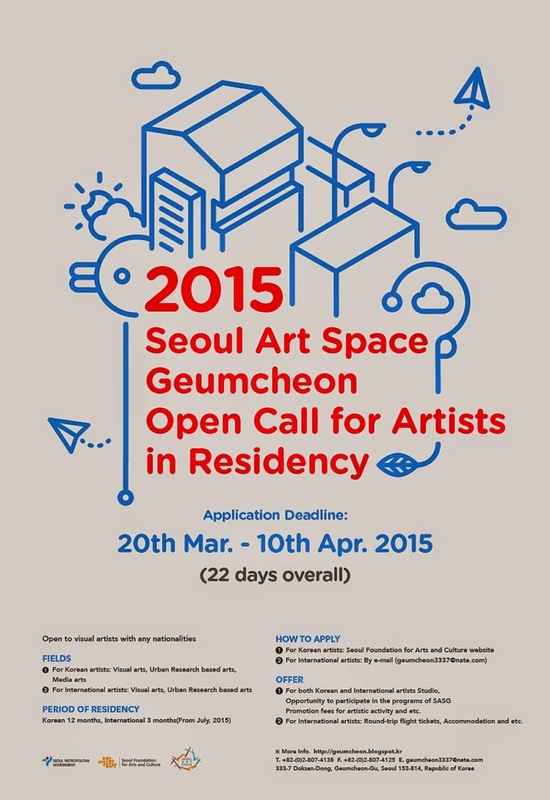 Call for artists of any nationality to participate in the 2015 Seoul Art Space Geumcheon Residency Program. Application field is in the Visual Arts, which includes painting, installation, video, photography, etc. Deadline is on April 10, 2015 16:00 Korean time.